For the first time this summer, the nation’s fleet of existing power plants will face limits on carbon dioxide emissions. Depending on whom you ask, the release of the EPA’s final Clean Power Plan is either an important step in addressing the challenge of climate change, an example of overreach by the federal government or largely insignificant. Understanding the structure and potential impacts of the Clean Power Plan requires some context. First, it is difficult to overstate the pace and scale of the transition already under way in the nation’s electric power sector. Natural gas prices, once characterized by significant volatility, are projected to remain low for the foreseeable future due to the rapid expansion of shale gas production via hydraulic fracturing. Electric utilities are facing new limits on emissions of mercury, sulfur dioxide, nitrogen oxides and particulate matter. The cost of solar energy continues to drop. Wind power is increasing. Future electricity demand is expected to remain relatively flat due in part to improved efficiency of appliances and electronics. Utilities are also retiring a large number of older coal-fired power plants. Together, these factors are driving fundamental changes in the production and consumption of electricity. Second, the EPA is developing the Clean Power Plan based on its authority under the Clean Air Act. This is the latest in a string of steps following the 2007 US Supreme Court case Massachusetts v EPA that concluded the Clean Air Act applied to greenhouse gas emissions. The specific section of the law at play here – section 111(d) – has rarely been triggered and there are no direct judicial decisions interpreting the statutory language. 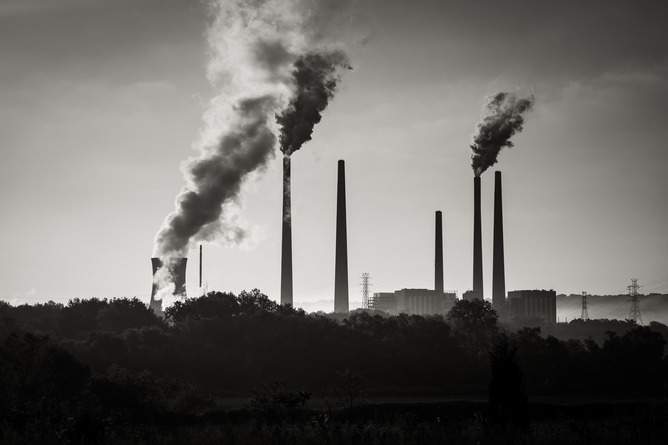 This lack of precedent, combined with the broad terms that Congress included in section 111(d), grants the EPA and the states significant flexibility as they assess strategies to reduce CO2 emissions from the electric power sector. 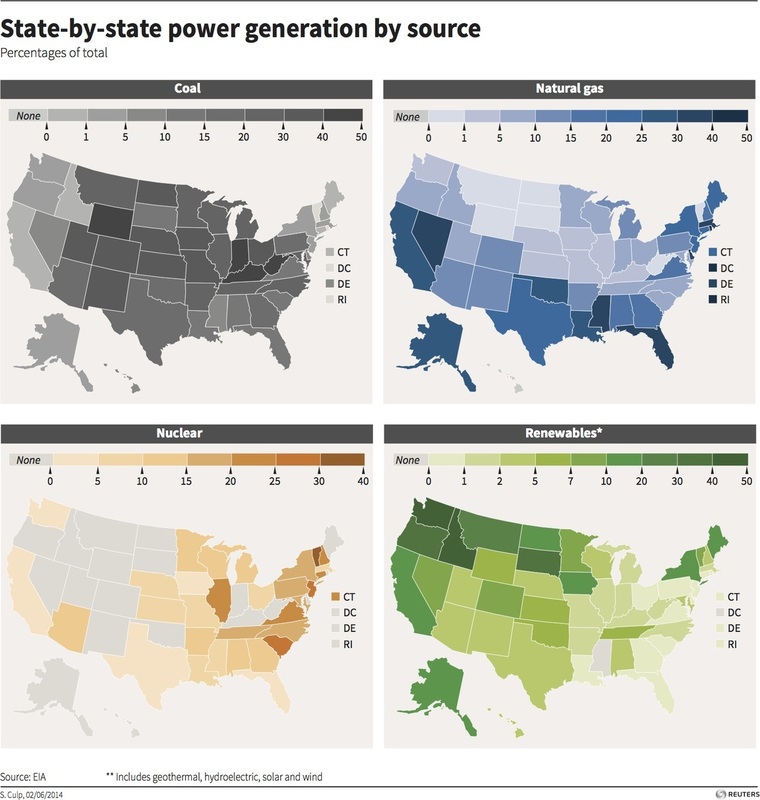 State-specific emissions targets lie at the heart of the Clean Power Plan. The EPA has proposed calculating the state emission targets based on four criteria: improving efficiency at existing coal-fired power plants; increasing the use of existing natural gas facilities; increasing or maintaining generation from zero-emitting sources (including renewable and nuclear facilities); and increasing energy efficiency. Individual state targets will differ because the potential for reducing emissions under each category varies from one state to another. State officials will then have wide latitude to develop their own plans to meet the targets. If states refuse to submit a plan, or if the EPA determines that the submitted plan is inadequate, a federal plan would apply. The long-term impacts of this new regulation will depend on forthcoming decisions by the EPA, the states and the courts. The more stringent the emissions limits, for example, the more steps that state regulators and electric utilities must take to comply and the greater the reduction in the nation’s greenhouse gas emissions. Long-term impacts will also turn on the degree of guidance the EPA provides regarding compliance options. Many states have limited capacity to evaluate the full range of the options on their own. If the EPA reduces administrative and technical hurdles for some choices, there is a good chance that many states will pursue those options. How states choose to implement the actual targets will determine how utilities respond to the new rule. For example, whether or not states approach compliance on an individual basis or as part of a multistate effort may have a major impact on the overall cost of the program. With the exception of most of Texas, the nation’s electricity grids span state borders. If neighboring states make different implementation choices, it could affect how companies operate their existing power plants and where they site new facilities. Courts will also play an important role in determining whether and how the Clean Power Plan moves forward. The EPA has already survived one court challenge to the Clean Power Plan, but more are certain to follow issuance of the final rule. The EPA initially proposed requiring states to submit their plans within one year, with the possibility of a one- or two-year extension. That timeline will likely change in the final rule. Legal challenges could also potentially delay implementation. While it will take some time to assess the long-term implications of the Clean Power Plan, the regulatory process has already produced a notable result. This, in turn, has reinvigorated serious conversations among state regulators, utility executives and environmental groups regarding policy options to achieve meaningful environmental benefits in a cost-effective manner. States have always been at the forefront of efforts to address climate change, and that leadership will continue under the Clean Power Plan. With deliberate planning, this process could provide state regulators with a tool for guiding the electricity sector into the future. Jonas Monast is Climate and Energy Program Director, Nicholas Institute for Environmental Policy Solutions; Senior Lecturing Fellow, Duke Law School at Duke University.